Manual radiator valves originally manufactured in the USA. Finished in satin (brushed) nickel. Original Crane design. 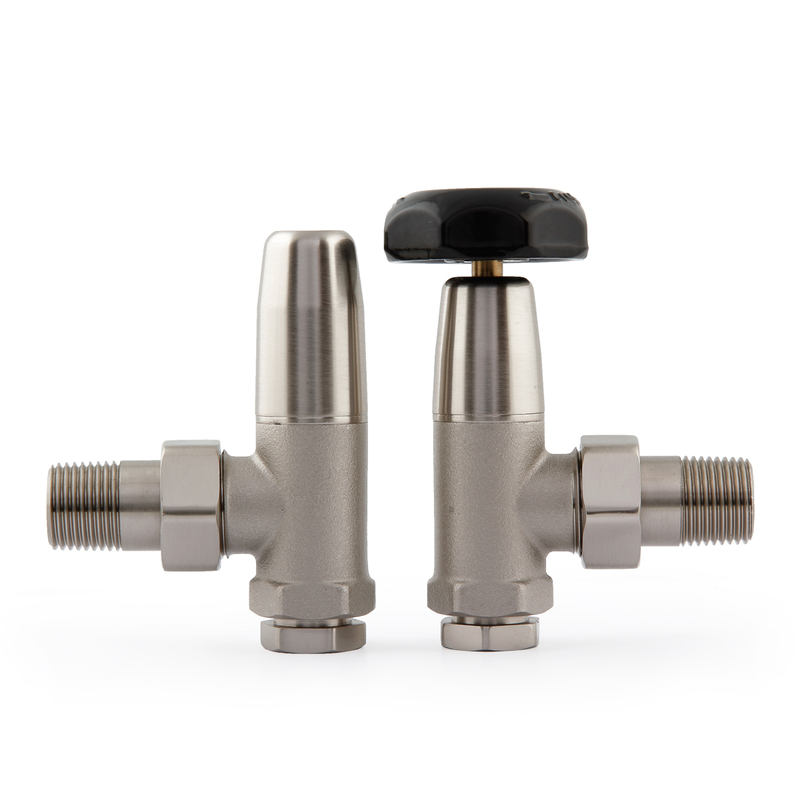 Brass manual radiator valves finished in a brushed nickel plating with black plastic handle. Half inch BSP threaded radiator connection, optional 15mm or half inch BSP connection to pipe (both are included).